Arista latest “IP Flash Caster” is all set to make debut at the Infocomm17, this AV over IP signal distribution system features uncompressed 4K streaming and zero-latency AV-over-IP. The IP Flash Caster allows installers and system integrator’s to replace proprietary AV matrix switches with off-the-shelf Ethernet networks for improved performance, flexibility, scalability, and price. Arista Corporation is a leading manufacturer and provider of video wall displays, AV extenders, matrix switchers, multi-viewers and more for AV installation and industrial markets. IP Flashcaster consists of a transmitter and receiver, the system delivers uncompressed, zero-latency signal with broadcast quality scaling for stunning visuals. With support for USB, RS-232, and IR (control), the system is ideal for AV and KVM signal extension, IP-based switching, video wall, and multi-view tasks. IP Flash Caster’s attributes include HDMI 2.0a, HDR video, windowing and audio downmixing, audio embedding/de-embedding, and more. The IP Flash Caster provides multi-source video compositing capabilities for multi-view, picture-in-picture (PIP), and picture and picture capabilities (PAP) within the AV signal distribution system. The IP Flash Caster’s multi-source video capability allows each receiver to combine multiple video sources onto a single display for PIP and PAP. Moreover,IP Flash Caster’s video-splitting and bezel correction capabilities to create a full video-wall of any size capabilities (no additional equipment required). The multi-source video compositing capability enables each receiver to automatically split an incoming video and render only a portion of the image as part of a video wall. Configurable bezel correction support compensates for the thickness of the bezel to hide the pixels needing to be obscured by the display bezel. 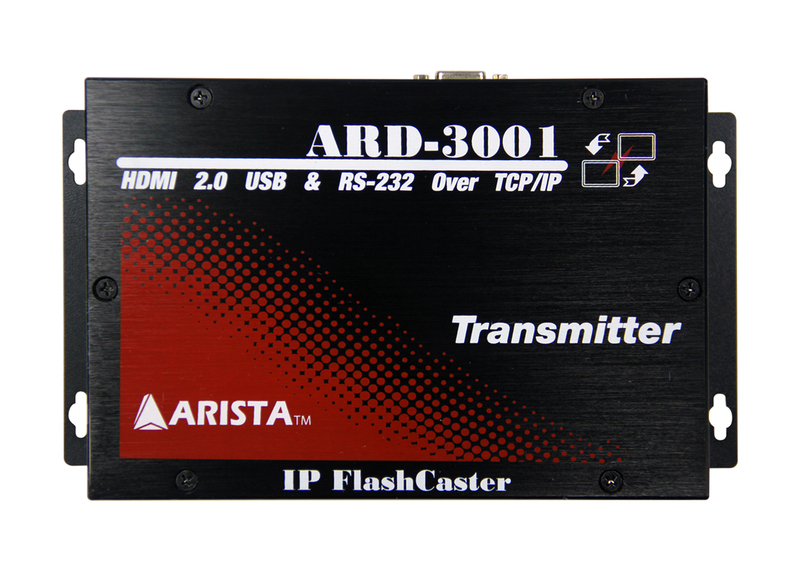 “The IP Flash Caster redefines the AV signal processing and distribution system architecture by delivering a single, cost-effective, and scalable AV signal processing and distribution system that integrates the functionality of several costly, discreet, single-function components”, Paul Shu, President, Arista Corporation. Company’s newest offering integrates wealth of functionalities, I genuinely believe AV integrators will find much to like with the product due to its ability to interact with more off-the-shelf AV products”, Paul further added.